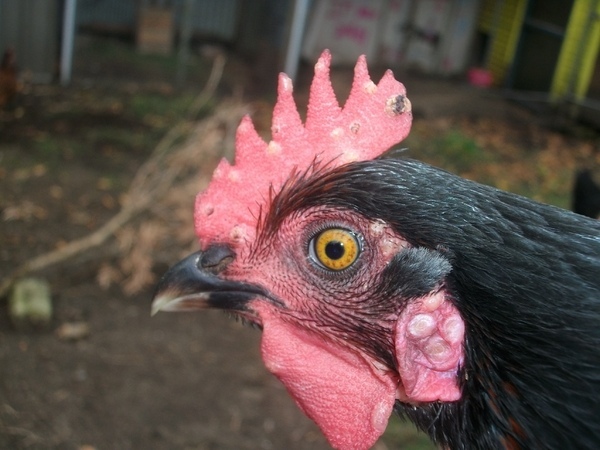 Avian Pox In Your Chickens - How Can They Get Infected & How To Prevent It!? Avian Pox In Your Chickens – How Can They Get Infected & How To Prevent It!? Avian pox is a rare viral disease in birds, and you can notice it if you see wart-like nodules on the skin of your chickens. It has always been present in birds . In many cases it won`t kill your chickens if you treat it in time. This disease can occur in young and old birds, and it does not choose the time when it strikes. There are three types of viruses that cause avian pox in birds. Fowl pox virus, pigeon pox virus and canary pox virus. There is always turkey pox but it is not recognized because is almost the same with the fowl pox virus. Different type of virus attacks different types of birds. The virus that can attack your chickens is the fowl pox virus. Fowl pox can get to your chickens by direct or indirect contact. The virus is highly adaptable and under some conditions the virus can survive for months on contaminated places. Mosquitoes are the carriers of the fowl pox virus. The mosquitoes can carry the infective virus for a month or after feeding on affected birds. After one chicken gets infected the rest of your flock can get infected. However, if a chicken is treated and cured it cannot get infected again. 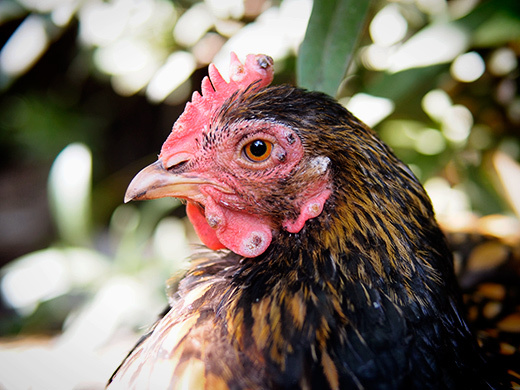 Fowl pox works slowly on your chickens, and your flock can be infected for months. The avian pox in your chickens usually takes its course around three to five weeks. Young chicks that get infected can stop growing. Hens that lay will start experiencing loss in egg production. All birds that get infected can have problem eating and breathing. The avian pox can manifest itself in dry and wet form so do not be surprised if different chickens from your flock have different symptoms of this disease. The first (dry) pox starts as a bunch of small grey or a shady white foci that grow into the wart-like nodules we mentioned above. The nodules in time scab formation that precedes final healing. You can see them on the featherless parts of the body (wattle, comb, ear lobes and feet). The wet pox is shown mostly around the beak area of the chicken and the nose. They are diphtheritic and attack the membranes inside the mouth so bad that when they are removed, bruising is left. You cannot treat fowl pox. The best thing to prevent this is to regularly vaccinate your flock. There are more than one kind of vaccine available and preventive if used properly. If you have mosquito problem around your area of living it would be best if you vaccinate your chicks. The chicks can get their vaccines as young as one day of age if you use the wing-web method along with a one needle applicator. You only need to vaccinate your chickens once to get life-long immunity against the fowl pox virus. Next Article Chicken Behavior – What Should You Expect? Can you please provide the scientific data/research which indicates using fowl pox vaccine on chickens only once provides lifelong immunity? And where it is considered a “rare” disease? Two of the more popular brands of straight avian pox vaccine both Chick-N-Pox TC vaccine and Poxine vaccine it states clearly in the manufacturers instructions that booster type vaccination at 12 weeks age (with Poxine) provides better lifelong immunity that vaccinating once. And I am quite well aware of several individuals who reported to me after having vaccinated their chickens only once they had birds that came down with the avian pox. And if you live in a mosquito prone area, just vaccinating them alone is not enough protection! With good bio-security measures by using a bug zapper lamp and removing standing water on your property, even the tiniest of puddles and potted plants around the coop area is a haven for mosquitoes, by removing sources where they hang out you can reduce the chances of your flock contracting avian pox. And another tip, call your local health dept and speak with an environmental health specialist if you have concerns about larger bodies of standing water in your neighborhood, they can come out and place tablets in the water that contain a chemical to kill the mosquito larvae. And mosquitoes are not the only carriers of fowl pox – wild birds are too!